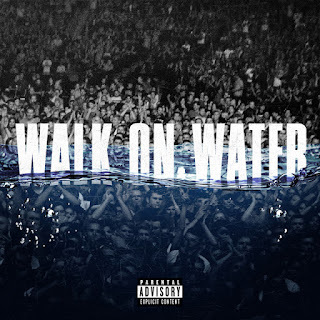 Great White DJ: "I Walk on Water, But I Ain't No Jesus"
After weeks of rumors circulating about a new Eminem album, we've finally got our first warning shot. Matter of fact, warning shot probably doesn't convey the epic-ness of the track below, it's more like a surprise scud missile. Featuring soulful vocals from Queen Bey herself, Walk on Water amounts to a candlelight therapy session for Eminem. It's as dramatic and introspective as I've ever heard from Em. The quiet intensity is palpable, but I appreciate his restraint in use of vulgarity. Sure there are a few f bombs, but they're intricately placed, rather than napalmed all over the track like he's been known to do.